Let's be honest, I'd die within the first week. Everyone has a fantasy about how they'd deal with a real-world, anarchic survival scenario. If you've watched Battle Royale, The Walking Dead, 30 Days Later, or Mad Max, you've probably thought, "This is what I'd do in such a situation." I always thought I'd be that guy out there collecting weapons and equipment, and dealing cold hard justice, like the Sergeant from the Purge films. Yep. That's me. Hiding in a bush. PlayerUnknown's Battlegrounds has taught me that I'd be holed up in a bathroom with a dirty t-shirt and a handgun, jumping at the slightest noise. PlayerUnknown's Battlegrounds is the latest game in a trend of survival-oriented titles. It's less persistent than games like DayZ, Rust, or ARK, leaning more towards the short-match play of H1Z1: King of the Kill. An entire genre of survival games have sprung from Bohemia Interactive's Arma 2 and Arma 3, with Battlegrounds being designed by Brendan "Playerunknown" Greene. Greene created a Battle Royale-inspired mod for Arma 2 and its sequel, before going professional with his work on H1Z1: King of the Kill. 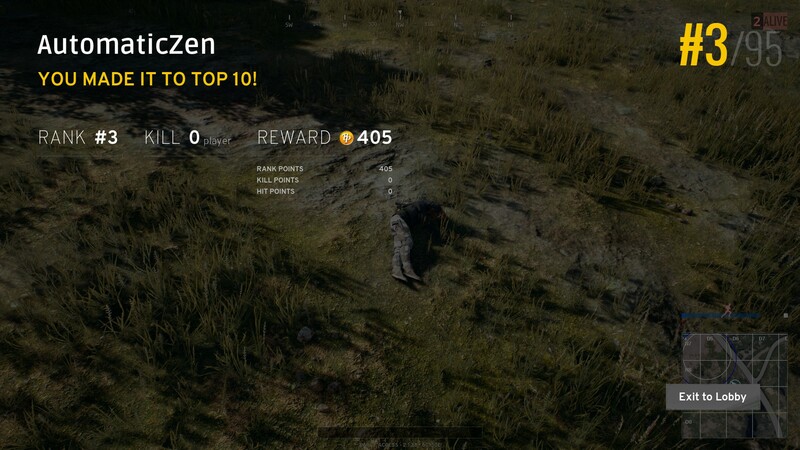 Battlegrounds is a last man standing game. Every match begins with 100 players parachuting out of a cargo plane onto a remote, deserted island, like living dandelion seeds of death. You start with the clothes on your back and not much else; the only attack you have available to you is punching. As soon as you touch down, the scavenging and killing begins, with players hunting for weapons, clothes, armor, and vehicles in an attempt to gain leverage over everyone else. White is the current play area, blue is the shrinking death zone. What helps Battlegrounds work for me is the relatively quick match lengths. Most rounds, even if you survive until the end, take around 15-20 minutes tops. This is sped along by the slowly shrinking playing field. 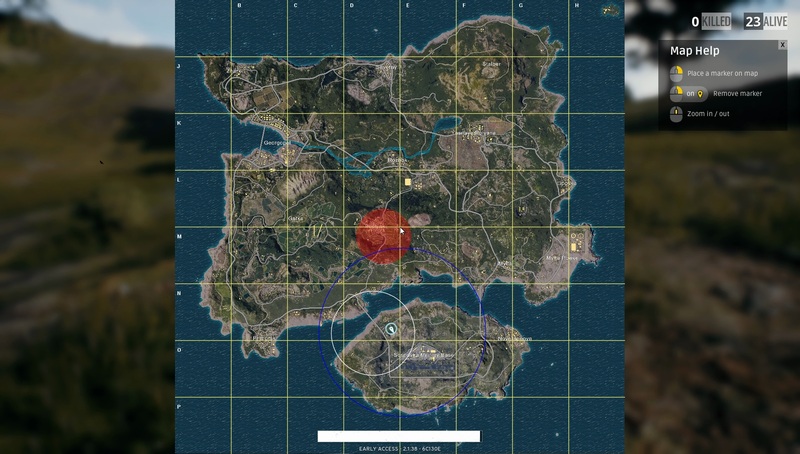 The game will mark the new battleground with a white circle on your map, giving you a few minutes before the playable area shrinks down via a blue field of death. If you're caught out in the field, you die. Like other battle royale games, this eventually forces confrontation between players. If you die early on, you can stay and spectate on the match, or simply drop off and queue up for another. And you'll probably die pretty early in your first few matches. As the classical poet Coolio once said in his seminal work "Gangsta's Paradise": death ain't nothin' but a heartbeat away. Fights in Battleground tend to play out in seconds; you'll turn a corner and you'll be dead. Open doors are scary, because that means someone has either been inside a building or is still currently inside. Basic me, versus late game me. You'll be sprinting across a field into cover, only to hear a pop and take a bullet in the skull. You will find yourself screaming bloody murder and unloading a shotgun blast into the air because you heard a nearby gunshot or explosion. I sat in a spot once and watched three folks die immediately to a sniper; I never figured out where the sniper was staying. Finding good weapons and solid cover is key. You'll notice hiding is a pretty big theme with me. The speed with which you can die, combined with my general self-preservation instinct, means my current strategy involves find something with which I can defend myself and hiding until the playing field constricts. It's not that I'm not willing to engage more with the game, I'm just afraid of dying. It's a tactic that's gotten me in the top 3 spots of match, albeit with no kills whatsoever. I'd call that a success, right? 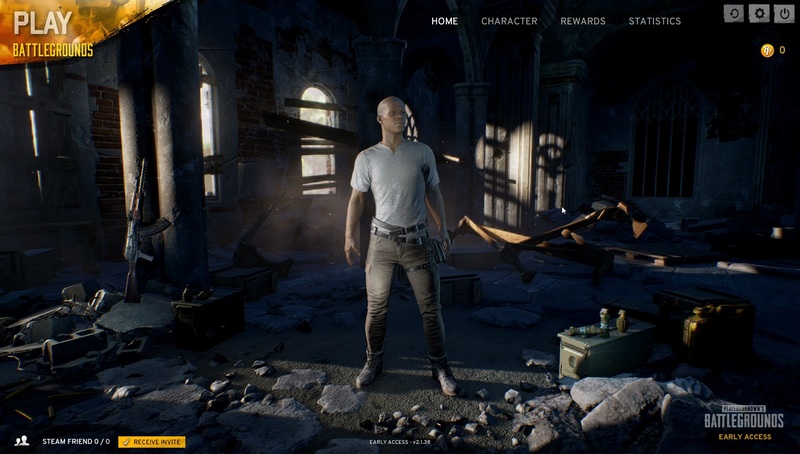 Battlegrounds is a paid game, but it also offers a soft free-to-play style system. Every match earns you credits, depending on how many folks you killed and your standing on the kill list. These credits can then be used to purchase Pioneer Crates, which offer up a random assortment of cosmetic items for your characters. 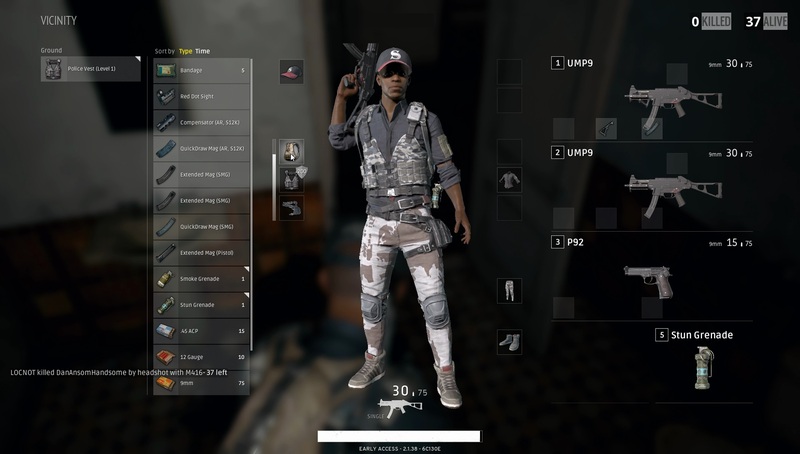 Players can take unwanted cosmetic items and offer them for sale on the Steam Community Market or trade them. Despite seemingly avoiding the point of a battle royale game, I found myself really enjoying PlayerUnknown's Battlegrounds. Will I stick with it? No clue. I jumped on to try out a few matches and found myself playing all night, so the game must be doing something right. 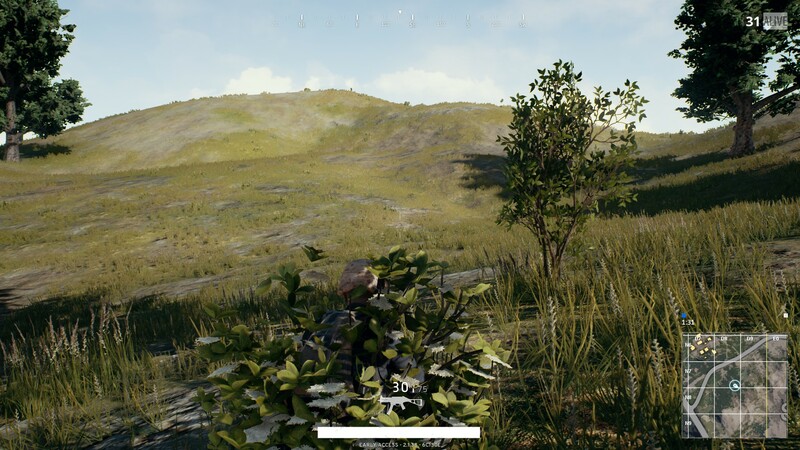 Compelling survival gameplay plus relatively short matches - especially if you die - means you can get a lot of fun out of PlayerUnknown's Battlegrounds in just a few hours. Plus, the game has taught me that when the post-apocalyptic war reaches us, I'm going to grab a broom and hide in a tree until someone comes to kill me. You can't put a price on learning more about yourself. Tagged with Analyses,	Bluepoint Games,	FPS,	PC.